When launching Red Dead Online, Rockstar noted this is indeed a beta and, as such, various changes would be made in order to give players the best experience. 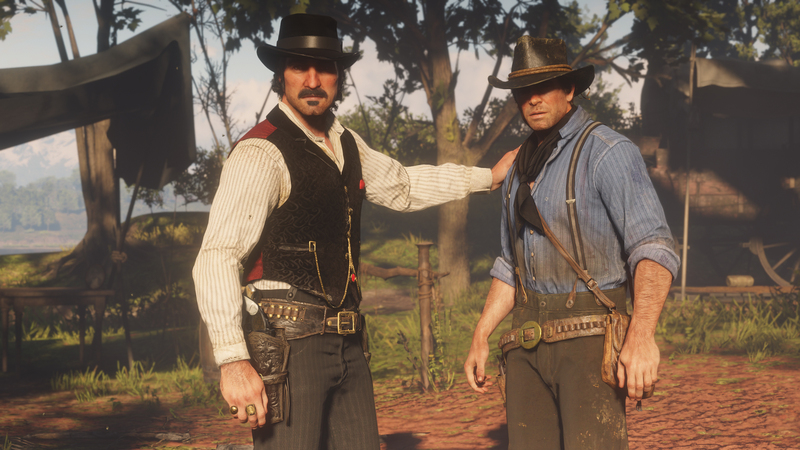 Now, after the Red Dead Online beta officially launched for all players, Rockstar has outlined some of the first changes it will be making to Red Dead Redemption 2’s multiplayer offshoot. It looks like the company is already fixing one of the biggest complaints: the economy. Right off the bat, many players will probably be excited to hear that cash and gold payments are being adjusted. A large number of Red Dead Online players voiced their concerns at what they perceived to be excessive grinding during the first week of the beta. Specifics weren’t given, but players should find themselves earning more for taking part in the different activities and events found throughout the world. This is in line with Rockstar’s previous commitment to fixing the economy of its shared-world game. That’s not the only change Rockstar is making to Red Dead Online’s economy, however. Most of the weapons will see price reductions, as well. Possibly sensing an outcry, Rockstar will be giving those who already bought these weapons the money they would have saved. Just be aware that some may not see the money until Monday, December 10th. Finally, as a bit of a “thank you” to the early adopters, Rockstar will begin handing out special gifts. Any player who logs on until midnight PST on December 7th will be rewarded with $250 and 15 gold bars. Again, be advised that some players may not see this gift until Friday, December 14th. Rockstar is still continuing to make adjustments to Red Dead Online, and is listening to player feedback. Players are encouraged to head to Rockstar’s website for any form of feedback or suggestions. Now, just be sure not to spend all of your newly-earned money at once.